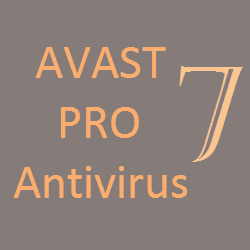 While Avast Free Antivirus 7 and Avast Internet Security 7 are happened to be the most downloaded antivirus softwares in 2012, the success story continues in 2013 too, Avast Pro Antivirus 7 would be best customizable computer security for companies and individuals. More than 150 million people around the globe have installed Avast security products and are very satisfied with its performance and stability. The computer users who want to have more security features than Avast Free Antivirus and who doesn’t want to upgrade Avast Internet Security 7, would surely opt for Avast Pro Antivirus 7. The latest version has fixed various security and stability issues which were there in prior versions. What makes Avast security suite different from others is, it has got more advanced and aggressive set of features that are missing in other security products. The features like SafeZone and Sandbox lets you shop or bank online more safely than ever. 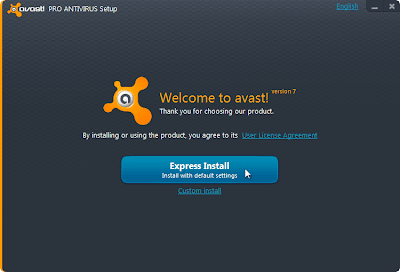 Avast Pro Antivirus 7 has got regular and custom installation process which is not faster but, is worth installing. It comes up with Windows 7 or Vista desktop gadget and WebRep browser add-on which are optional. Re-boot is not required for both installation and uninstallation processes. 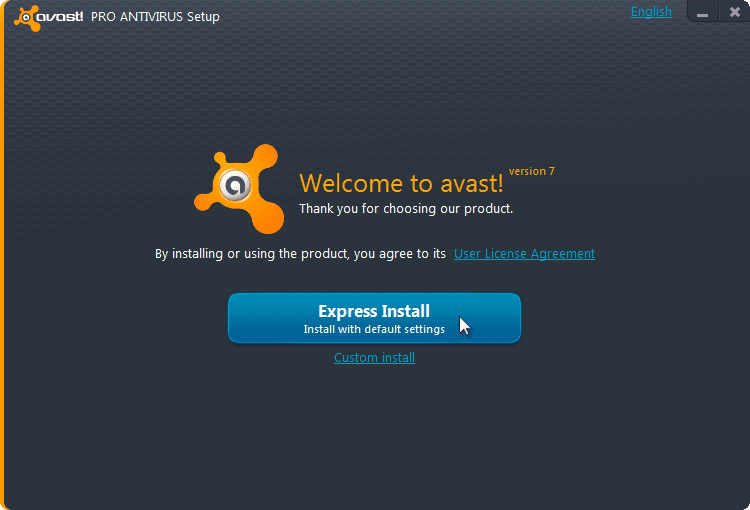 The new versions of Avast have followed the same interface for all its security products and Avast Pro Antivirus 7 is not different. The color combination also looks similar. SafeZone – It creates an isolated desktop window for safe and secure transactions when you shop or bank online. Sandbox – Another virtual desktop feature which lets you to safely browse internet and share links on social networking sites like Facebook, Twitter, etc. or Instant Messaging Clients or file-sharing sites without displeasure. 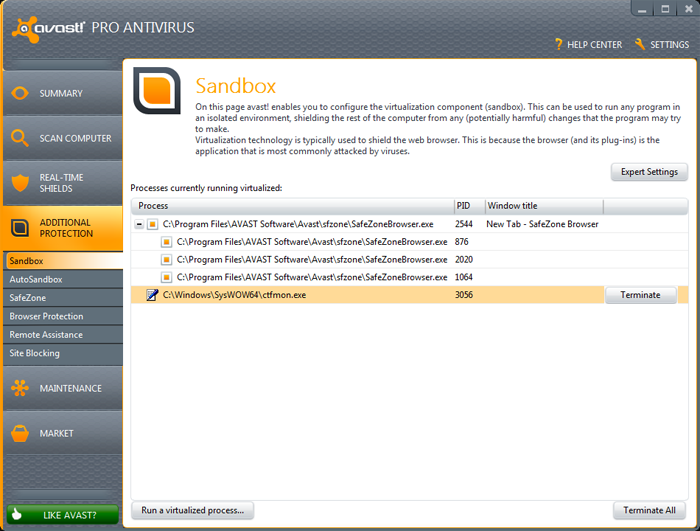 Antivirus and Antispyware Engines – You can customize the software, convenient to your personal computing needs. Hybrid Cloud Technology – Downloads all the required virus definitions from the Avast! Cloud Server and offers your PC the Real-Time protection. Silent Gaming Mode – Now you can play your favorite games (offline or online) without any interruption like notifications, performance changes, etc. 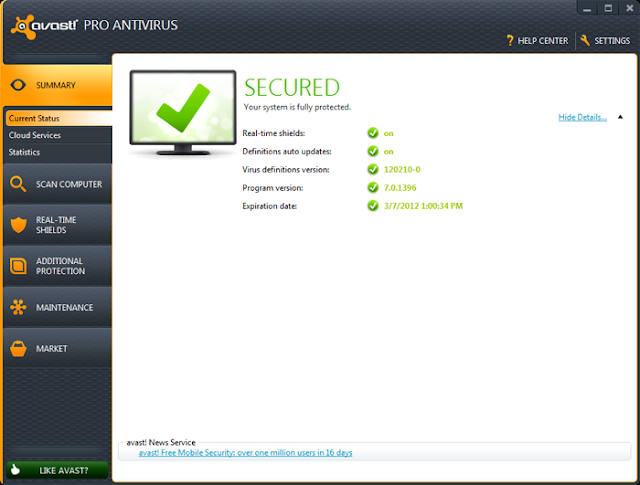 as Avast Pro Antivirus 7 silently runs in background protecting your PC. Cloud-based FileRep – Gives you the reputation data on countless files from various countries from the Avast! Cloud server, so that you can check the file before downloading. Avast! iTrack – Sends the monthly Security Report or history like number of infected or blocked files to your email address. Get the “Remote Assistance” from a computer geek friend or family member. Five types of Scanning modules – Intelligent, Scheduled, Wake-up, Command-line, and Boot-time Scanner. Eight types of Shields – Web, Mail, Behavioral Honeypots, P2P, Instant Messaging, Network, Script, and Behavior Shields. CPU Optimization for the latest Intel Core i7. Multi-threaded Scanning Optimization which runs faster on multiple core CPU’s. Green Computing which consume limited energy on the disk drive. Download Avast Pro Antivirus 7 30-day trial version or buy 1 year subscription for $40. If you are searching for ultimate protection software for limited period, then Avast Pro Antivirus 7 would be best choice. You can upgrade to Avast Internet Security 7 which has got many advanced features compared to Pro version. And after all, Avast says “Pro Antivirus is Great but Internet Security is Our Best Protection”.